[Seoul] For beauty, there is Innisfree. 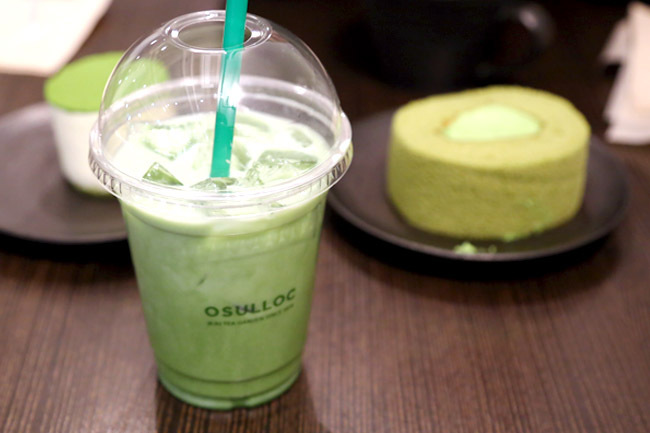 For tea, there is O’Sulloc Tea. These are just some of the other things that Jeju Island is famous for, other than its beautiful sceneries and ecological treasures. 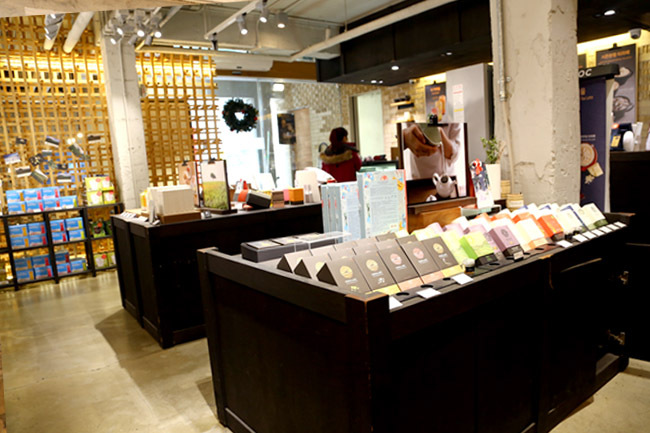 The O’Sulloc brand has much developed and modernized, being one of the major tea exporters from Korea, known for using technology for planting, producing and packaging. 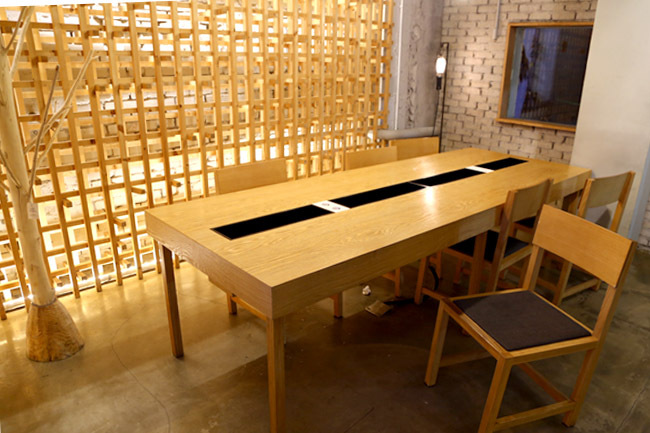 Its tea houses at Myeongdong, Insadong, Apgujeong, and Daehangno have become a contemporary “Starbucks” like café. 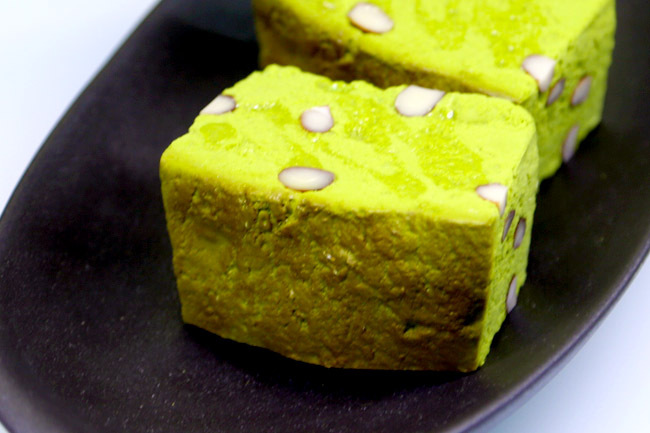 After much recommendation, it has become the first stop in my itinerary, with a friend commenting that O’Sulloc’s Green Tea Milk Spread is “worth every cent”. 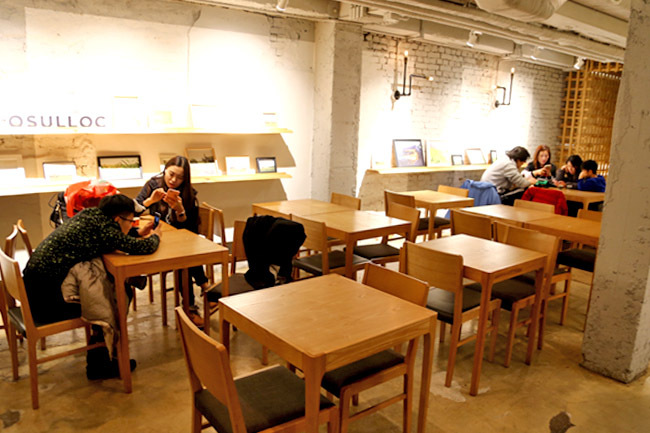 That works out to be between SGD$6.60 to SGD$9.00 per beverage, which is considered higher priced than several other casual coffee and tea places within Seoul. 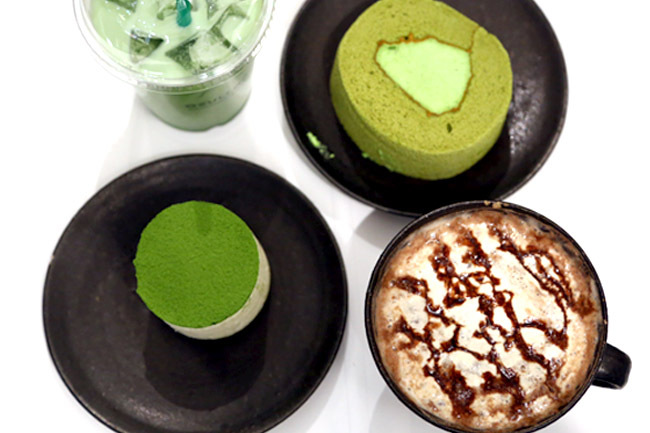 The Green Tea Latte (6,000 Won) was a small cup, filled much with ice. But for whatever contents it contained, I liked it – rather faint green tea bitterness, moderately milky, a comforting drink. 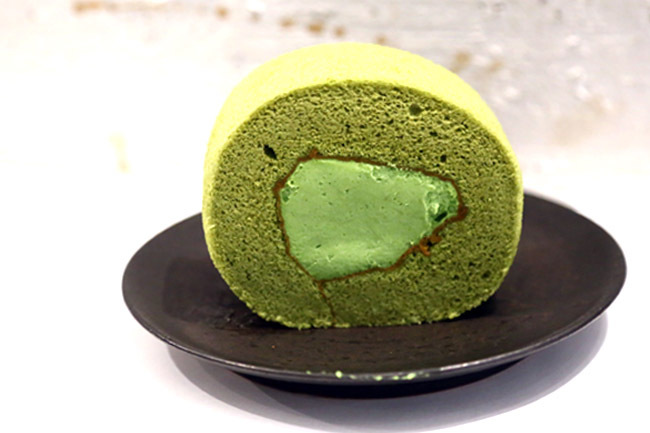 The Green Tea Roll (5,000 Won) wasn’t exactly my favourite, not as soft-fluffy as I would have imagined. There are better ones around. 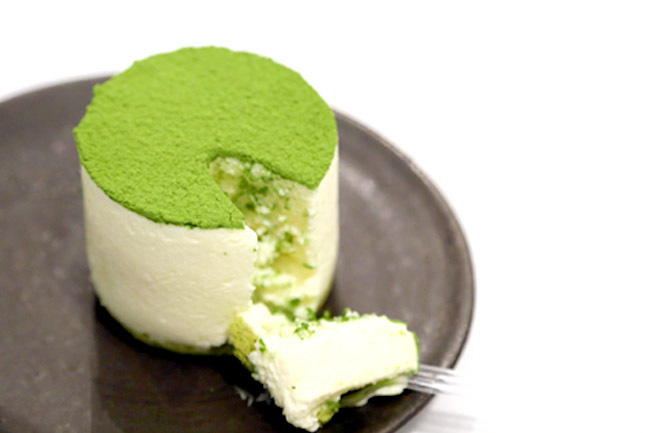 However, the Green Tea Tiramisu was delightfully wonderfully, called a Tiramisu yet more like a light cheesecake, mellow-smooth with the lingering bitterness of Jeju green tea. 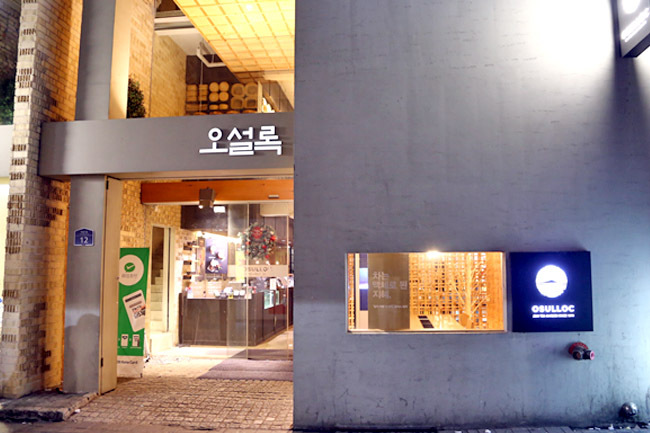 This is Daebak! 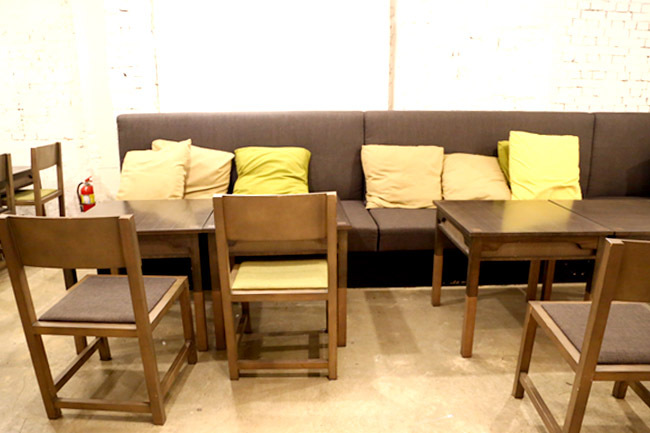 Overlooking the price, Osulloc Tea House can be considered the destination tea house to experience a touch of Korean tea culture, yet in a comfortable setting for a gathering time with friends.